A beautiful gated community offering Vacation Rental Homes right next to Disney World, Florida. At the gateway to Central Florida's Magic, choose your home away from home when visiting the attractions that the Orlando / Kissimmee area has to offer. Stop by the Clubhouse to see what events are running during your stay. 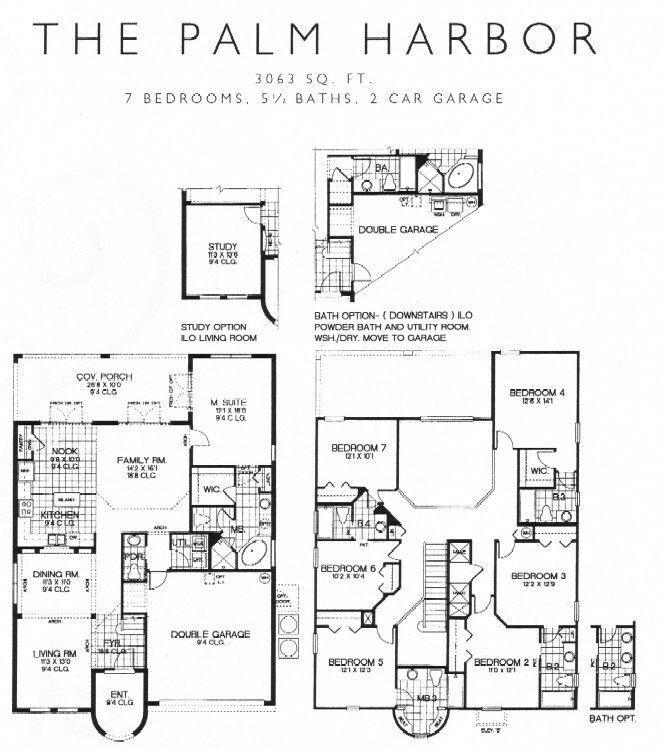 With it's distinctive turret, the Palm Harbor is a 7 bedroom, 5.5 bathroom home with a 2 car garage. Some models have open ceilings above the family room giving a grand feeling. Other homes utilized the open space above the family room to create a den area for extra family space, often housing either a computer, games console or even a pool table, the extra space is great for the larger groups. The standard Palm Harbor had a living area square footage of 3123 sq. ft. With the den area upstairs, the square footage grows to over 3300 sq. ft.